Handyman Exterior Interior West London W | Quality Property Care Ltd.
Do not hesitate to use our appropriate maintenance service! It is competitive and cheap, conducted to all criteria in security measures during fixes and repairs. Plus, we work 365 days per year, with no exclusions for weekends or holidays! Call us on 020 3746 4287 and get more information about our reliable property maintenance company right away! Electrical isn’t easy work, and that is why we can deliver you with a fully trained and specified handyman electrician who can not only aid with small jobs, but also perform full household rewiring if needed. For homes we can replace switches and sockets, fit dimmer switches, fit new doorbells and replace extractor fans. For businesses we do the replacing of transformers, the changing of switches, replacing bulbs and installation of dishwashers. For rented properties we do restroom and kitchen extractor installations, fitting of home appliances, the installation of lighting and the installation of chandeliers. The handyman can hang pictures and mirrors, fit curtains and blinds, put up shelves, mount TV’s and displays, change handles and locks, work on the fitting of doorways and gates. We can also do flat-pack assembly, starting with furniture assembly, furniture repair, the installation of slipping doors, childproofing your home, lifting and moving furniture, the moving of significant items and quite a lot more. 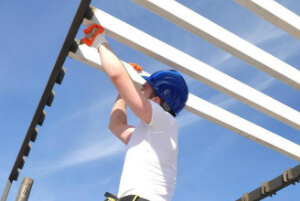 You can also rely on us for general repairs, like boxing in, drought proofing, bath screen installation, fence and gate repair, easing jammed doors and windows as well the replacement of worktops. Our Quality Property Care Ltd. handyman can also do simple and more complex plumbing for rented properties, offices and homes alike. For house owners we can fix dripping taps and pipes, repair toilets and flushing cisterns, unblocking pipes and toilets, deal with the plumbing in kitchen and baths, installing washing machines, replacing washers and taps as well as bleeding radiators. For commercial and office spaces our handyman can deal with leaks and water damage, unblock urinals, toilet installation. You can now also set up a maintenance profile for ordinary visits with our handyman, that way he can stay on top of the situation without a hassle. Rented spaces we can deal with replacing basins and sinks, replacing waste disposal units or macerators, re-sealing baths and shower trays all of this with a guaranteed satisfaction of a timely repair. All of Quality Property Care Ltd. handymen are multi skilled, capable of completing tasks ranging from electrical rewiring to basic plumbing, light bulb changing, interior and exterior decoration work, kitchen area fitting, bathroom fixture removal and set up, flat pack assembly, general repairs around your office and house, hanging of paintings, doors and windows. We also have tradesmen expert in different fields like domestic plumbing, electrical, carpentry, painting, decoration and fitting of restrooms and kitchens. All of these skilled hands are a quick phone call away, dial 020 3746 4287, it’s that easy. We generally work in any environment, from domestic to corporate, restaurants, resorts, bars and pubs, cinemas, motels, offices, libraries, public areas and we have holiday and weekend availability. Do not waste time and don't hesitate to give us a call on 020 3746 4287! We are accessible for your orders 365 days per year! Get a free quote right away! It`s easy and quick. Book handyman services in West London W on a budget and make sure everything in your house works and looks fine again!